CELEBRATING THEIR FIFTH YEAR IN 2013, Giant Loop® has evolved from two adventure motorcycle riders with a single saddlebag available only online, into one of the world's most innovative soft luggage makers. The 2013 line includes four completely new products, as well as updates across the entire Giant Loop collection. Riders worldwide energize and inspire Giantloop to continually improve, and each design is prototyped and tested in some of the most demanding off-road conditions. Some of the very best riders in the world use Giant Loop gear, including Baja 1000 winners Quinn Cody and Kendall Norman, off-roadracing legend Malcolm Smith, world-record setting Husaberg Adventure Team, London-to-Sydney riders from Continental Drift, as well as many others. 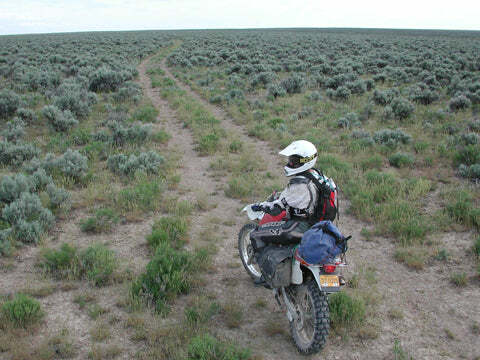 Giant Loop has also received positive reviews in virtually every major US motorcycling publication, as well as Australian, European and South African media. "We began in 2008 with a hope of opening up new possibilities for riders to explore this magnificent planet, and today we stand proud tohave expanded horizons for a worldwide community of riders." 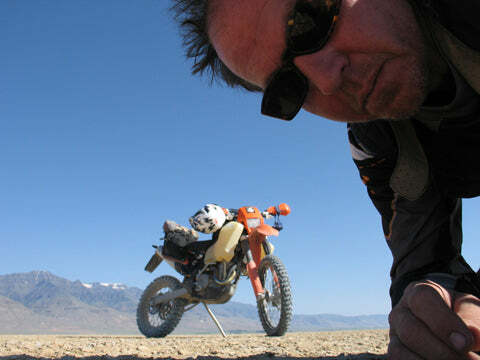 " The idea for long-distance, multi-day rides on dirtbikes actually came from our friend Josh Hale who told us stories of his adventures out of Nevada City, CA as a kid back in the late ‘70s and early ‘80s. They put all their junk in backpacks and suffered through till they found a campsite. Another inspiration was a group of dusty old-timers Dave encountered on the old Santiam Wagon Trail just west of Sisters, Oregon sometime around 1994. These wily veterans were on XR 250s and their leader was a quite large man on a suffering DR250. To haul their gear, they use an interesting collection of military baggage, backpacks and duffel bags lashed to the motorcycles. These friendly fellas were heading west over the Cascades after spending a few days at Christmas Valley Sand Dunes and still had 120 miles to get home to Stayton, OR. We thought that was burly, and we were kind of jealous of their trip. Dave started out with some homemade ‘doggie backpack-style’ saddle bags custom sewn for his ‘95 RXC 620. The maiden voyage on this set up was down in Cali on a trip from Ridgecrest into Death Valley up Golar Wash.
to be held out of the way to kick start the bike. Several other versions were built, tested and worked fine but there were still three bags: Two on the sides and a duffel lashed to the stock KTM rack on the back of the bike. Stuffing gear into bags and strapping them to the bike took too much time and required constant attention to make sure nothing was shifting around. The KTM’s steel subframe cracked in a couple places and needed gussets to repair. Our buddies’ racks were all bent, cracked or worse and none of us left town without backup straps (not bungies) to make those inevitable back country repairs. It became rather obvious that unless we were just going to putt-putt across the desert, we needed a more secure system. The first of these designs worked flawlessly (although it was a bit small), and Dave put several thousand miles of hard riding on it testing the concept. The second and third versions were much better space-wise, but the concept had proven itself and every trip Dave took illustrated the challenges his friends (like Harold) were dealing with by not having the convenience of our system. Giantloop delivers these qualities, while also eliminating the need for metal racks mounts and braces, optimizing a packed bike’s performance by positioning the load as close to the bike’s center as possible, and protecting both bikes and riders by containing gear within a pliable outer shell. Next in line: 3. Waterproof in extreme wet conditions; and 4. Modular and flexible enough to satisfy a broad spectrum of bike types, terrain and gear loads. With the 2013 line, Giantloop now offer riders more 100% waterproof options — and even more flexibility to customize the best solution for each rider’s individual needs. Rather than making the proven outer Bombshell waterproof, Giantloop protect gear inside with waterproof Dry Pods and some of the toughest roll-top Dry Bags made. GO LIGHT. GO FAST. GO FAR.